Hire a Certified Home Inspector before you buy a money pit! 4 Major issues that should make any potential home buyer in Florida think twice about proceeding with their decision to buy. Due to the warm humid climate of Florida moisture can build up and slowly infiltrate a home, causing mold to grow which can affect the health of the occupants. Mold can also cause structural issues if it is not addresses and has a long time to help rot away any wooden framework. Mold can be caused by something as simple as improper ventilation in smaller, more confined spaces like bathrooms. DO NOT PURCHASE a home or property where mold is pervasive because it is a sign of long-term moisture issues, possible drainage issues, and foundation or structural issues. Our Certified Home Inspectors are trained to spot mold issues and we will inform you regarding the best course of action for mitigation. Don’t trust your eyes or those attempting to sell you a home or property and rely on a professional home inspector to help detect mold and the extent of the damage that may be lurking underneath. Improper water drainage can lead to extensive wood rot throughout your home, or your potential future dream home. Drainage issues can be caused by missing, improperly installed, or damaged gutters and downspouts. Improper grading or the lack of grading away from the home can lead to water standing or seeping into the home and the home’s foundations. Florida homes are prone to water damage due to high annual rainfall and flash flooding caused by super cell thunderstorms or the occasional hurricane. Mold growth, pest invasion, wood rot and many other issues are a direct result of water damage taking place around our homes. Make sure you have a plan in place to deal with water and flooding and double check all your drainage inside and outside the home. If you looking to buy a home and any kind of water damage is evident, make sure that you hire a licensed home inspector to do a thorough inspection before you purchase the home. If you fall in love with a house make sure that termites haven’t moved in before you and made a meal out of any wooden structures inside the home. If the home you have your eye on does have termites, it is imperative that you immediately develop a plan to remove these pests or forego your purchase of the home. There are a few other wood-devouring pests, such as powder-post beetles and both the termites and beetles leave telltale signs that can be recognized by a trained home inspector. It is possible to overlook this type of pest and structurally compromising infestation because it can be contained within the walls of the home, tucked away from the untrained eye. It’s imperative that you chose a home inspector that can recognize the warning signs left by these pests. If you notice a cracked or crumbling foundation while you are out looking for a potential home or property make sure to make a note of this because foundation problems can potentially cost thousands and even tens of thousands of dollars to fix. 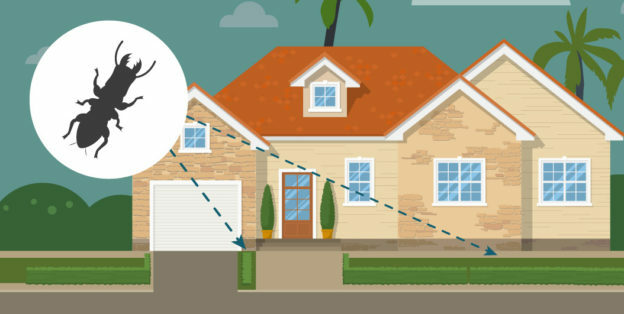 If you don’t see any foundations issues and you find a home that you like, you can rest assured that our trained and certified home inspector will catch the little details that can be missed by the untrained eye. We will let you know if the property has any major foundation issues or if there are some potential issues that might occur due to poor drainage or other factors. Water seeping into the home, wood destroying organisms, structural integrity and potential high utility expenses are directly related to a faulty foundation. 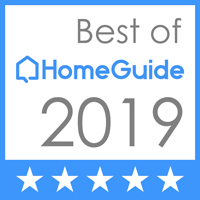 This entry was posted in Home Inspection Information on September 28, 2018 by wpadmin.